On the 10th May, I had the honour of presenting my short film of interviews with UAL students and staff on diversity, at the Race Champion Forum at University of the Arts London, Holborn site. 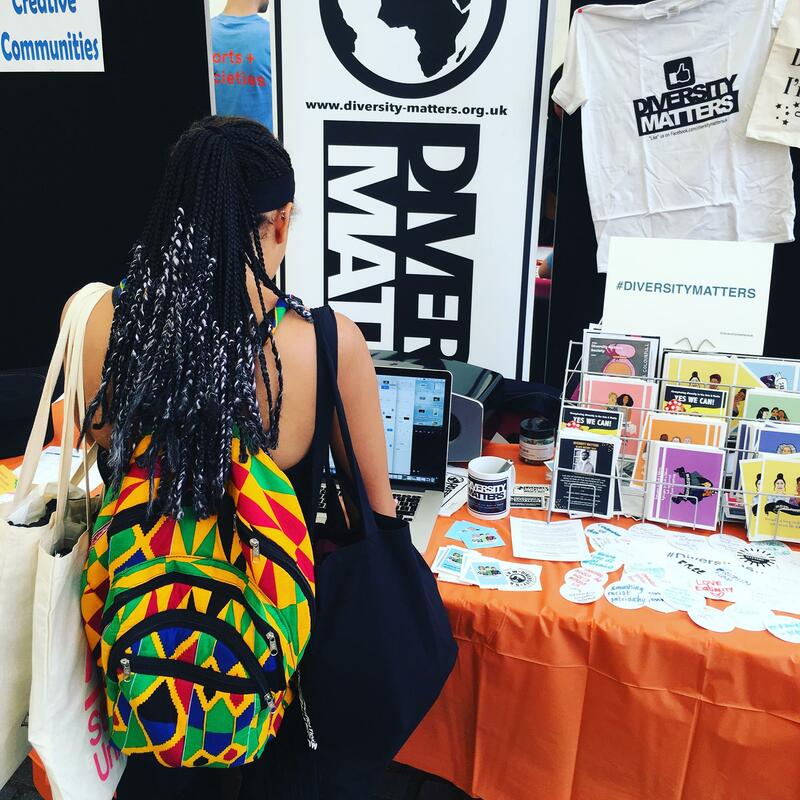 It was an opportunity to raise awareness and continue the discourse around race matters, after the success of Diversity Matters Awareness Week 18th – 22nd April. I welcomed questions from staff members who may not have been at the “why does race matter in my learning environment?” panel event on the 21st April. 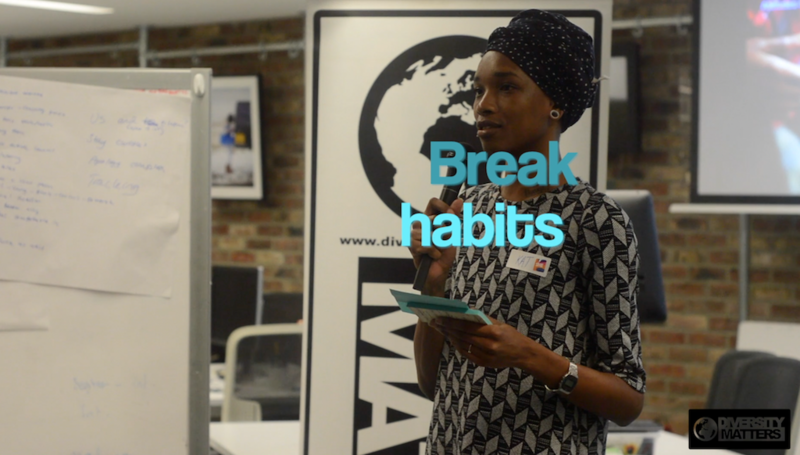 The invitation to show my short film “Diversity Matters: Let’s Talk About Race” (still in development) was extended to me by Tili Andoh – Head of Diversity, and a key staff contributor the student-staff collaboration project; Diversity Matters Awareness Week (#DMAW16). Stephen Reid, Deputy Vice Chancellor and UAL Race Equality Champion, gave this paper on Promoting Race Equality at UAL, in response to my request for a statement addressing diversity and how it is reflected in UAL. 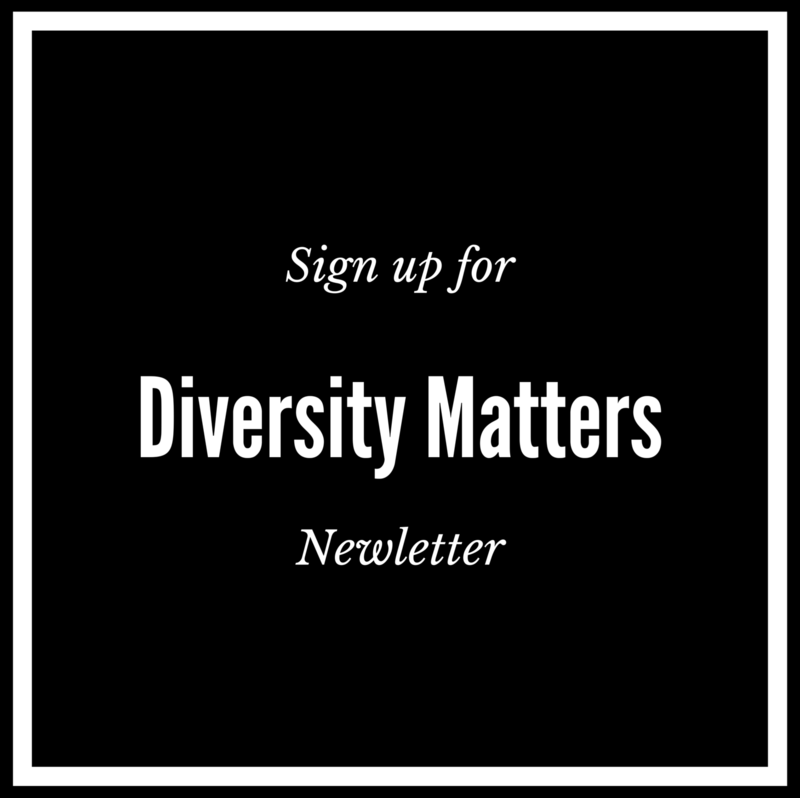 This statement, which also addresses aspects of UAL So White, was published in addition to the Diversity Matters Awareness Week booklet (Terms Of Reference) and given out to all attendees of the week’s events. CLICK HERE to request a digital copy. i. The percentage of first degree international students achieving a 1st/2:1 will be in line with the University average overall. ii. The percentage of first degree home Black, Asian and Minority Ethnic students achieving a 1st/2:1 will be the same as for first degree home white students. iii. The percentage of academic staff from Black, Asian and Minority Ethnic backgrounds will be at least at the sector average. Differential levels of attainment are evident across the UK university sector, and a recent national report makes it clear that the causes of attainment gaps are complex and involve factors both within and outside the University’s control. Responses to date by UAL to the attainment gap include piloting curriculum and reading list diversity audits (including work with the Students’ Union), peer mentoring and use of Course Unit level data to target improvement activity. 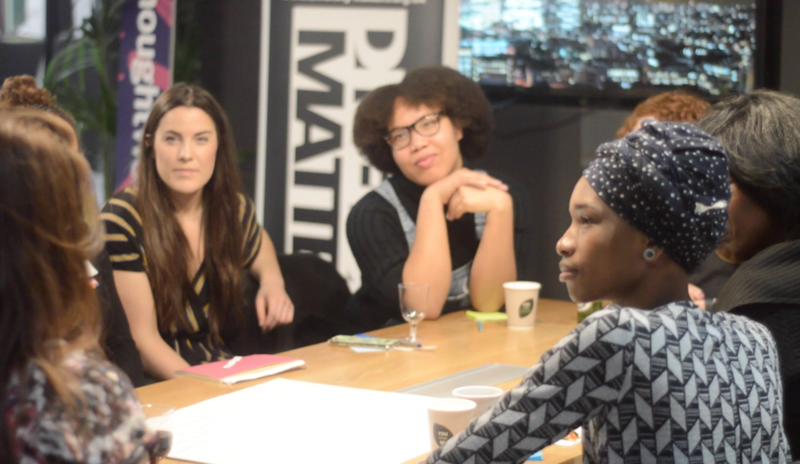 The Colleges have also been challenging our industries on Race Equality, working with initiatives and organisations led by Black, Asian and Minority Ethnic creatives. The University’s newly established Attainment Project is bringing together these initiatives and sharing practice. The Steering Group includes representatives from the Students’ Union and the staff Race Equality network GEMS. iii. embedding of commitment to inclusivity, equality and diversity in staff appraisal (PRA) and reward and recognition mechanisms. The work of the project is informed by the experience of successfully eliminating the attainment gap in the University in respect of students on our FE courses and for disabled undergraduate students. Recent controversies around the Oscars, and the Fashion and media industries, have brought into sharp focus the poor record of the creative and cultural sector on promoting Race Equality. UAL seeks to play a leadership role in changing our sector. The en>route programme aims to attract and develop professionals from Black, Asian and Minority Ethnic backgrounds wishing to enhance their careers in arts higher education. To date, the en>route programme has initiated an enhancement of our recruitment training, established a mentoring scheme for Black, Asian and Minority Ethnic staff and senior managers, held career development workshops and cultural competency seminars, and developed schemes to diversify the talent pool from which we will draw the next generation of academics and support staff. We have begun to work with recruitment consultants on identifying Black Asian and Minority Ethnic creatives working in the creative and cultural sector, with a view to attracting these practitioners to join us as academic staff and in management roles. We have this year significantly developed the framework for discussing concerns raised by the Students’ Union. Race Equality has been a key focus in these discussions. The Union is the main channel between students and the University, with a seat on UAL’s Court of Governors. In that capacity, Education Officer Bee Tajudeen has given several presentations on these issues to her fellow governors. The Dean of Students attended the recent first meeting of the UAL So White student group, facilitated by the Students’ Union. We continue to be open to discussion, facilitated by the Students’ Union, with student campaign and other groups. We also continue to support and work with the staff Race Equality network GEMS and to discuss Race Equality issues with the recognised Trades Unions. We are also reviewing the mechanisms for students to report concerns about discrimination. We have begun to explore on-line reporting systems for supporting students with concerns, and issues around reluctance to report. 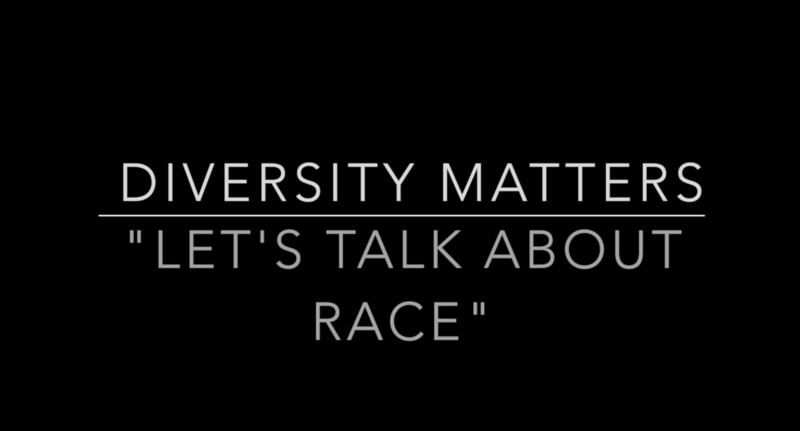 The University is committed to achieving Race Equality. We still have a much to do and want fully to engage students and staff in our programme of action.